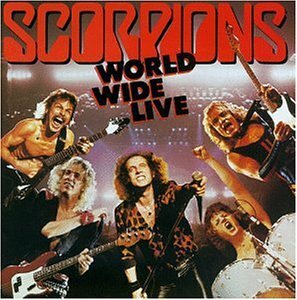 World Wide Live is a live album by German heavy metal band Scorpions . It was recorded at Paris, Los Angeles, San Diego, Costa Mesa and Cologne between February and November 1984. It was released in June 1985. Do you think that this album is the best live album by Scorpions? This album is included in the poll to find out the best hard rock and heavy metal live albums. This entry was posted in 1980s Live Albums, Heavy Metal Live Albums and tagged 1980s hard rock, 1984 live albums, heavy metal 1984, Scorpions Live Albums by Paul Simister. Bookmark the permalink.